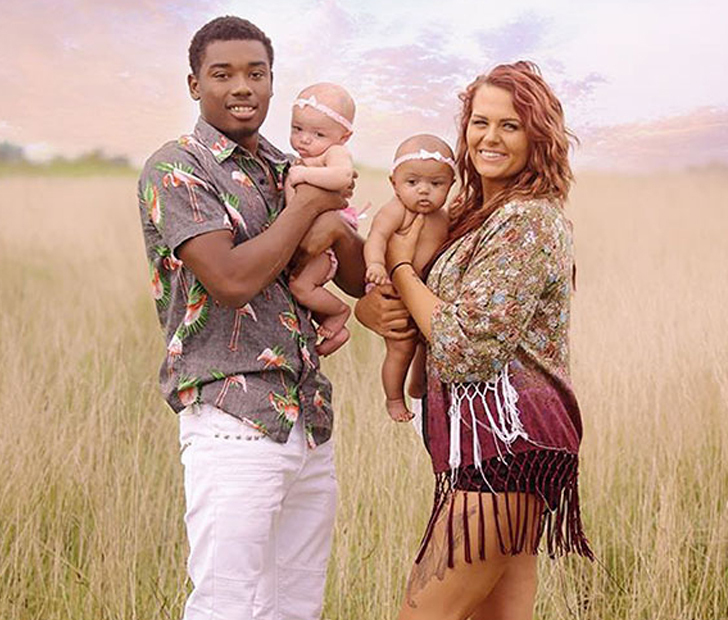 Vince Aylmer and Donna experienced a remarkable surprise when they heard that they would be the proud parents of not only their fourth child, but also their fifth. 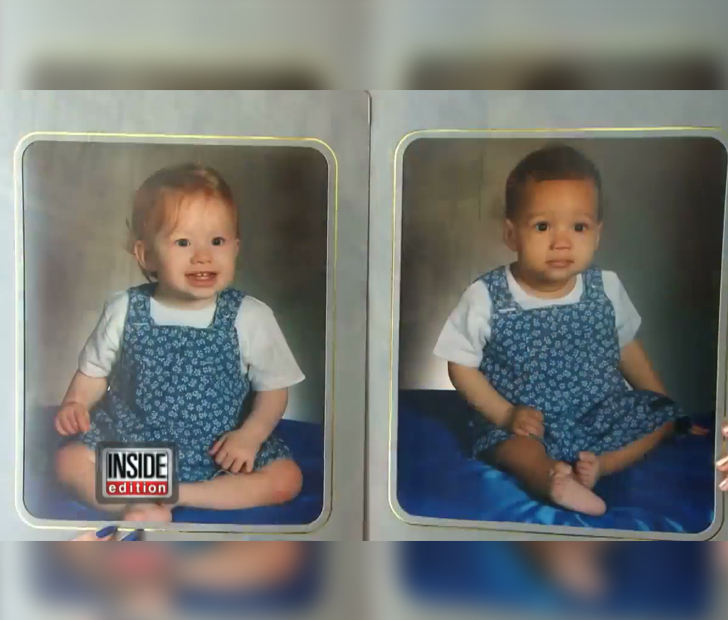 They were extremely excited to find that they were expecting twin girls, but the ultrasound couldn’t predict what happened next. 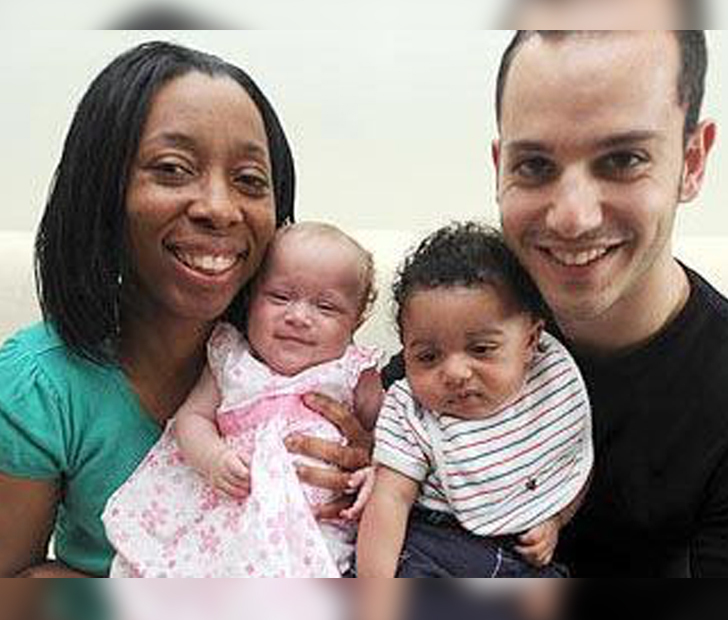 They were gobsmacked when their twin girls had extraordinarily been born with completely different skin tones. 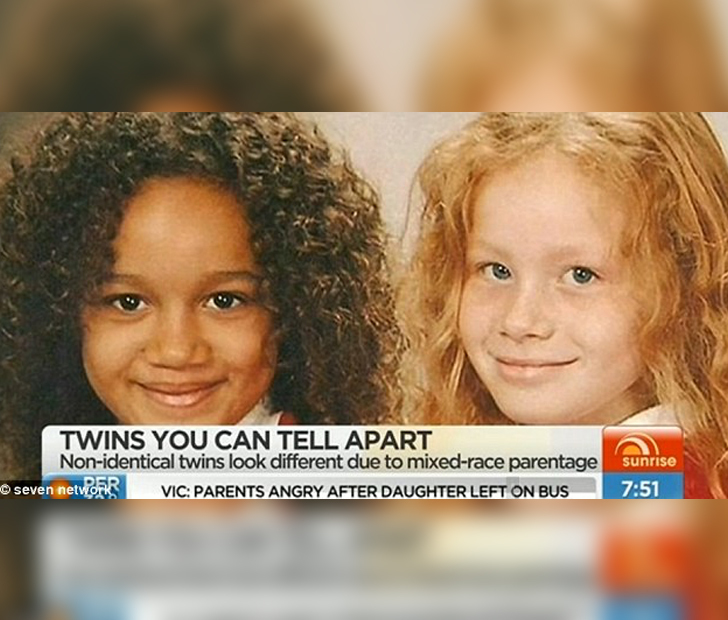 Another startling instance of biracial twins are Lucy and Maria Aylmer. 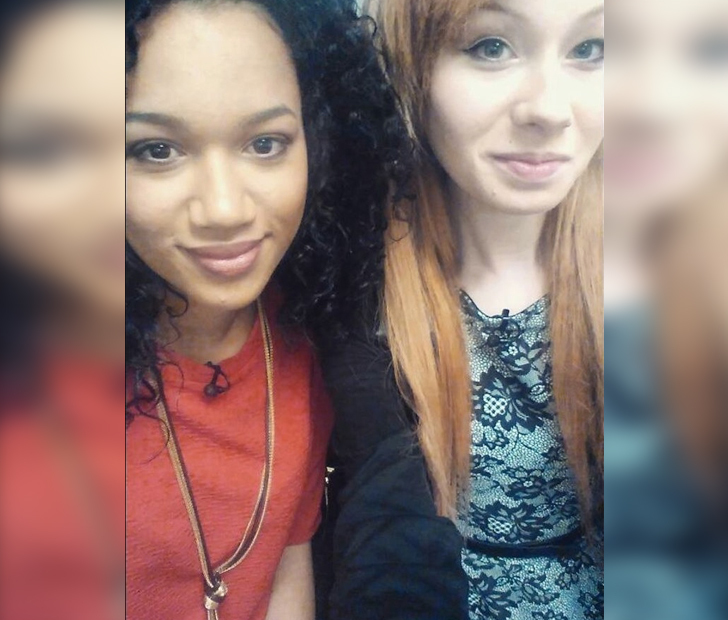 Maria has a caramel complexion, brown eyes, and bouncy curls, while Lucy has a pale complexion, red hair, and fair eyes. Their personalities are mirror images too. 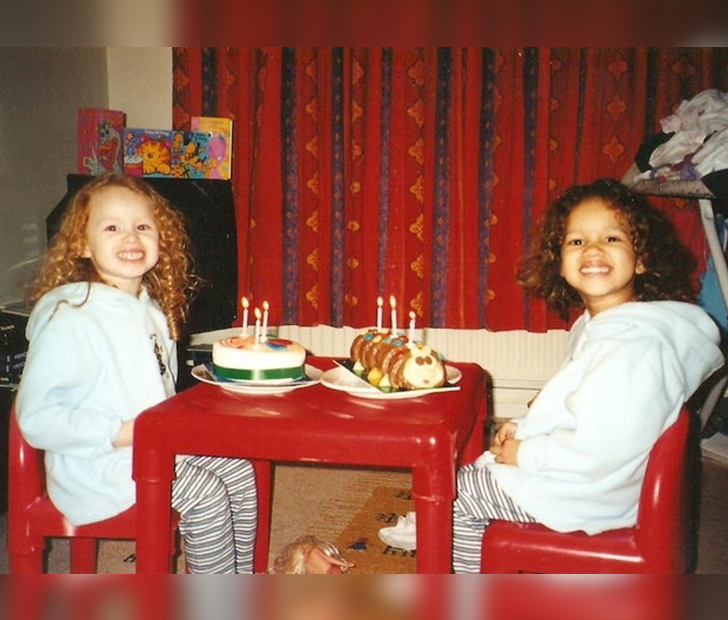 Varied ethnic backgrounds contributed to their daughter’s noteworthy genes and unusual skin tone, which only one in every five hundred sets of biracial twins will have. 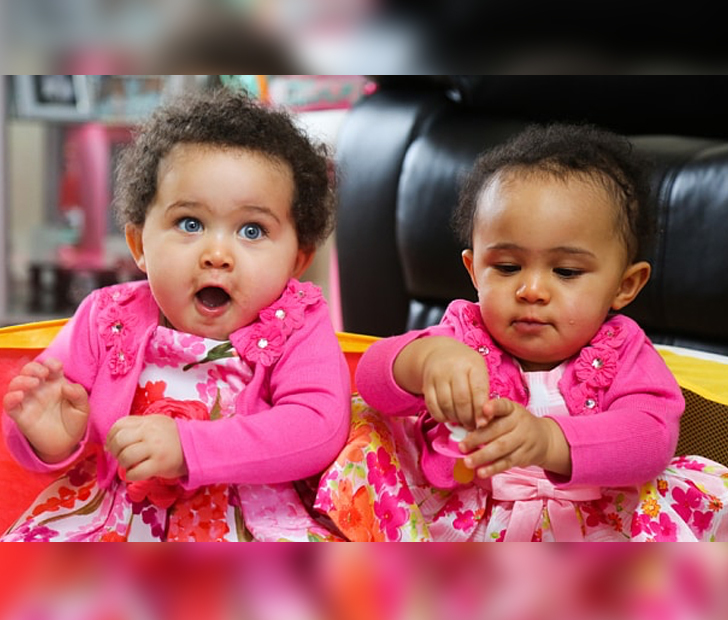 These identical twins were not so identical after all. 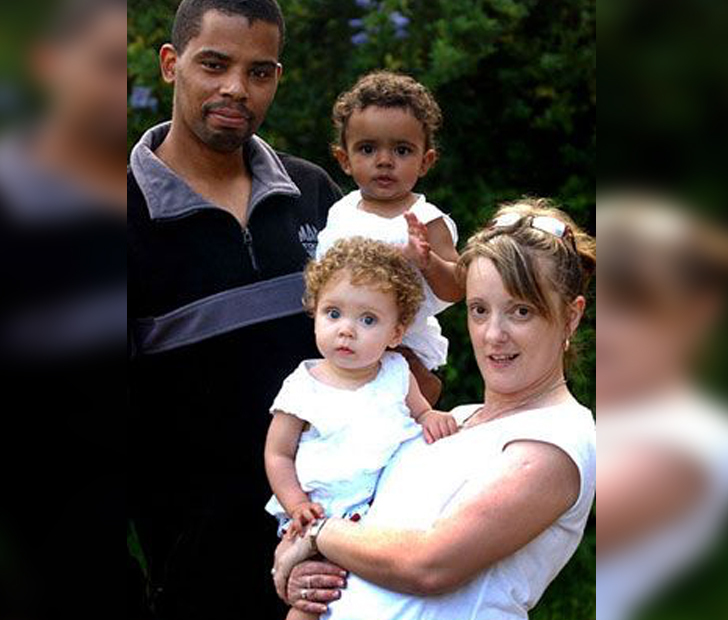 Their forty-nine year old mother Donna was a warehouse worker of Jamaican descent, while their father Vince was a fifty-five year old scaffolding worker from a Caucasian background. Little did they know that their two little princesses would bring a completely unique dash of delight into their lives. The Aylmer twins were not born as identical twins but were formed from two completely different eggs. 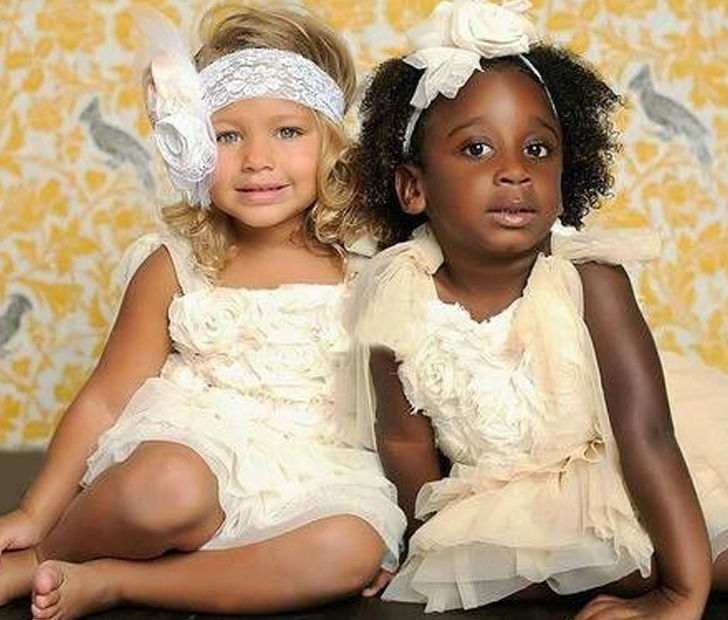 Nobody could predict what color skin they would end up with because their DNA was a mix of Jamaican and Caucasian. Scientists say little is known about which genes are hereditary because physical characteristics might only be the tip of the iceberg containing many of the same characteristics. In her later years, Lucy confessed that her mother had mentioned her utter surprise at birthing such completely different looking twins. 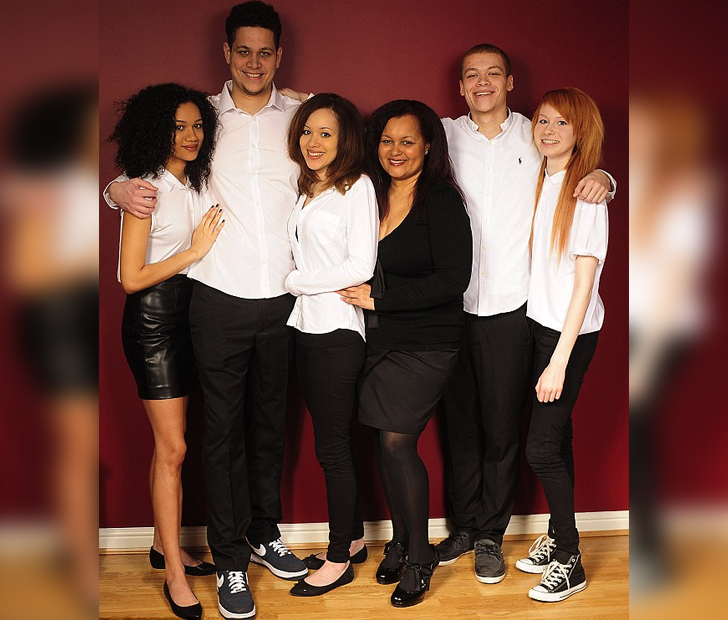 The black and white ultrasounds gave no indication that their biracial genes were so polarised. In most cases when twins are born, you will find that the mothers delight in dressing them up in matching outfits like two perfect little dolls. 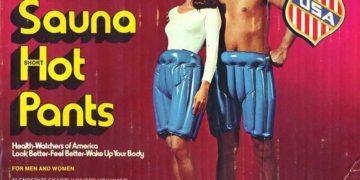 However, Donna, the mother of these special twins found out very quickly that it merely left strangers baffled. The girls looked nothing like twins and were even thought to be from completely different families. What About Their Other Siblings? 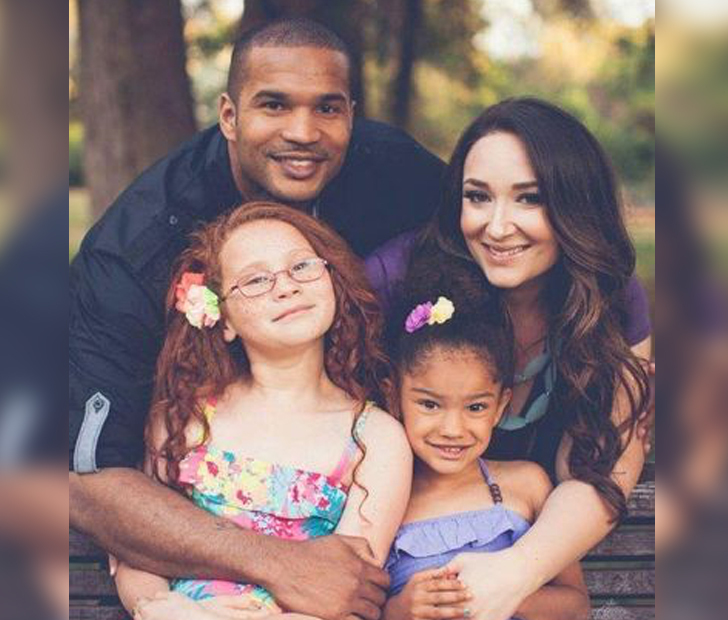 To make this situation even stranger, the girl’s three older siblings (George, Jordan, and Chynna) were born with a light-brown skin tone which was a much more even combination of their parent’s skin tones. This was in complete contrast to the colossal difference between Maria’s chocolate brown skin and Lucy’s pale, almost Irish-like fair complexion. 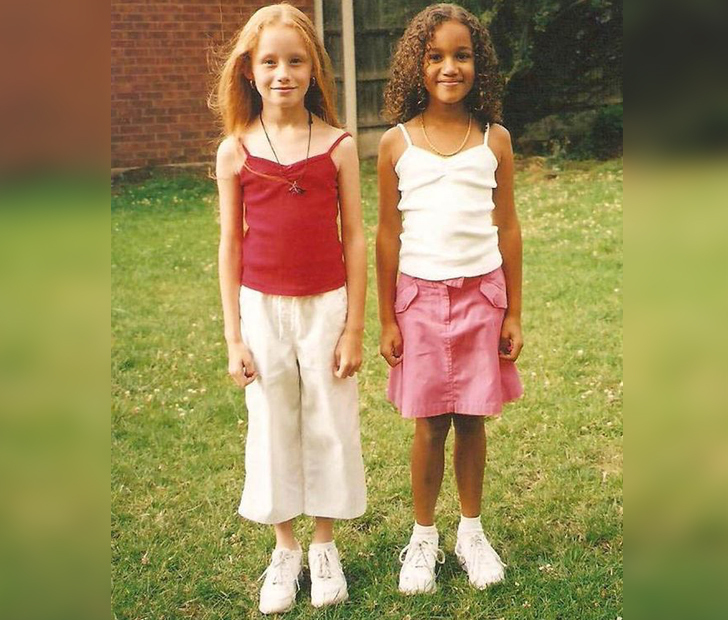 Lucy admits that she can relate to her grandmother who has the same milky complexion as her. It is true that genes occasionally skip generations. 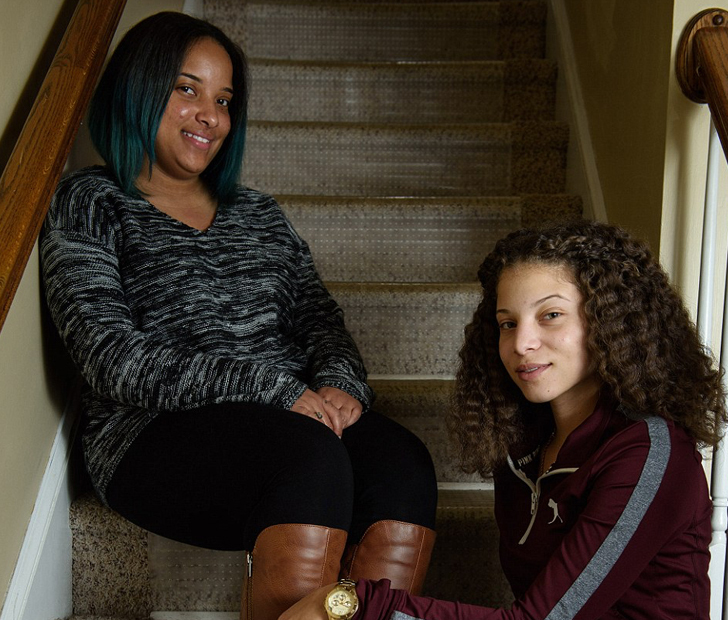 The fact that her three other siblings have an evenly mixed combination of their parent’s races only serves to emphasize the vast gap in the color spectrum between the twin sisters. The most noted differences between the two girls are their eyes and hair. Maria has dark brown eyes, while Lucy’s are a greenish blue. To Mary’s dismay, Lucy’s hair is as red and fiery as the Irish sun, while Mary’s is dark, thick and rich with an Afrocentric consistency. 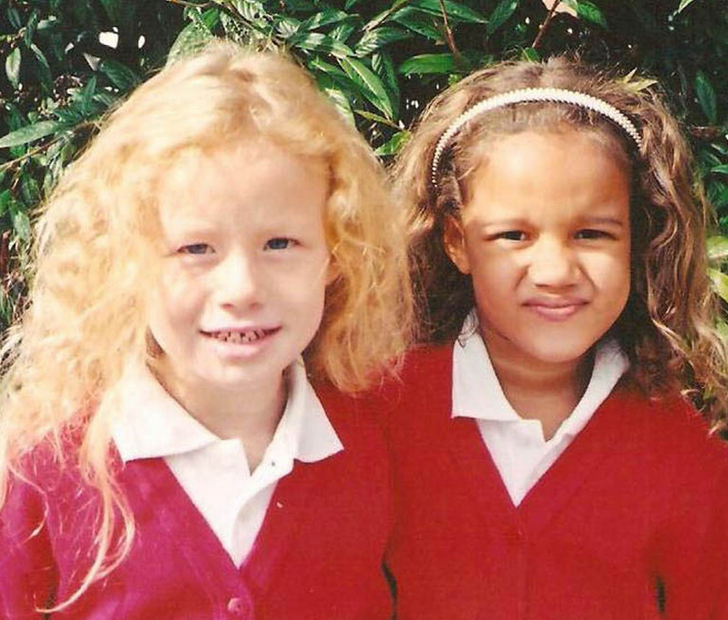 Both girls admit that they had a hard time in school due to their vast difference in appearance. 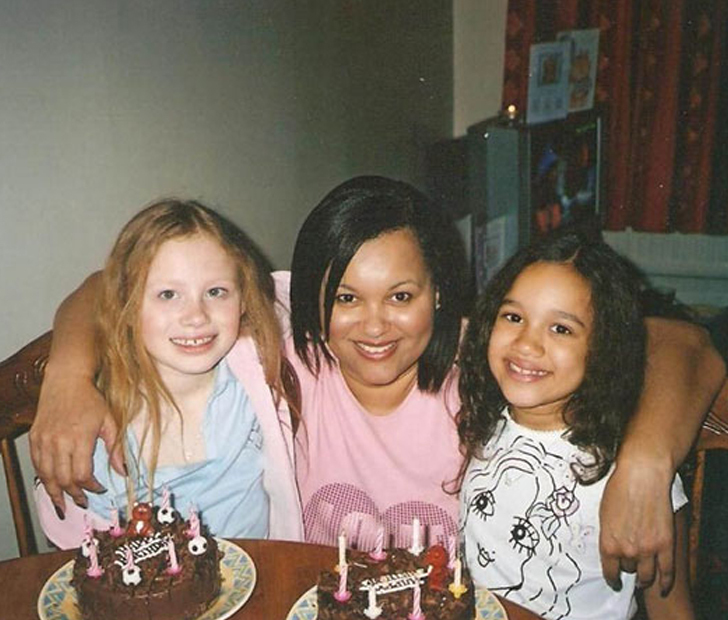 Lucy was called a ghost and bullied because her skin is so pale and everyone had assumed that she was adopted because she looked nothing like her birth mother. On the other hand, Mary loathed her abundant but nonetheless unmanageable dark hair. If you ask any twins about their early school days, they will always mention how much fun it was to confuse their teachers by switching places whenever their backs were turned. For Lucy and Maria, this will never be the case because there’s no mistaking which one is which. In some ways, they feel like they may have missed out on certain moments that only identical twins can ever experience. One thing that they have in common with many other twins around the world is a special connection that is truly indescribable. It isn’t so much a psychic bond, but a physical bond where at times they can simultaneously feel the same bodily discomforts. Lucy straightens her hair now, while Maria boasts a curly mane that she is proud of. They have both developed their own sense of style when it comes to fashion and have found out what suits each of them best. 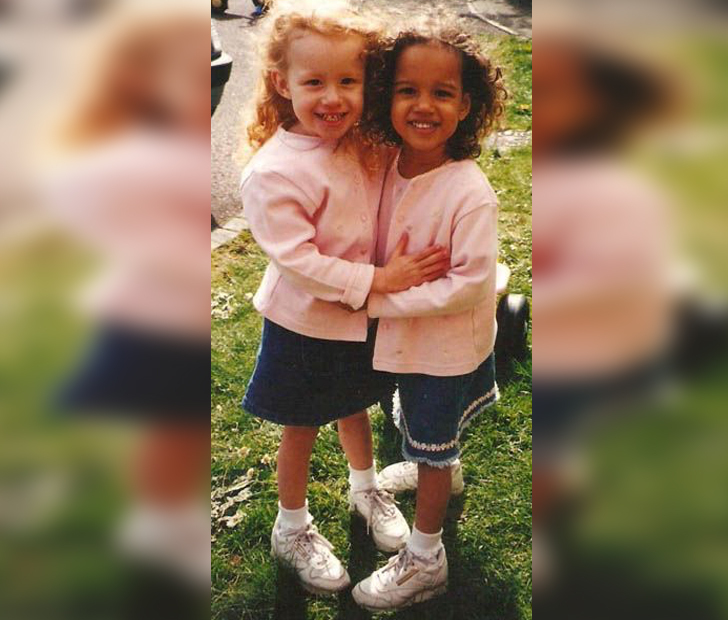 The girls admit that from an early age they never felt like twins because they were already so different. Because of this they insisted on not being dressed like twins and developed their own unique styles, which usually only happens later for identical twins. Let’s See How They Look Today! Today they embrace completely dissimilar genres of attire which they feel tend to accentuate their prominent but ethnically diverse features. Each of the twin sisters prominently displays the physical ethnic style of a different parent. It is glaringly obvious that over the years they have grown into two very independent individuals with styles that might even clash at times. One wonders if they had never been born as sisters, would they ever have been friends at all. It’s no surprise that like most twins, one is an introvert and the other an extrovert. When it comes to twins, it is rare that they would both have the same personality or level of extroversion. The twins confess that perhaps they could’ve had a closer connection if they hadn’t been so different, both in disposition and externally. If they had focussed less on their appearances, they might also have spent more time building their relationship. Perhaps if they had looked more similar, there wouldn’t be such a gap between them for most of their lives. This gives us an entirely new perspective on what factors produce the specific bond that many identical twins share. As the girls matured, their connection grew stronger and their decision to set aside their differences has fortified their friendship. As adults, they have a much better connection than what they had when they were growing up. Even to this day, some of their friends still don’t believe that they are even related and think that they are pulling quite the elaborate practical joke. They have to go to great lengths to prove that they are in fact related. 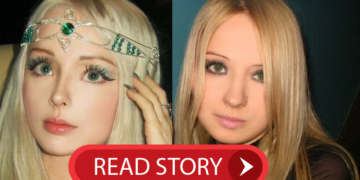 One of Maria’s friends admits that she only believed they were twins when she saw an interview with them on TV. She could never have guessed that they had been telling the truth about their connection for years. Today the girls both attend different colleges and relish telling their friends that they have a twin of a different race. 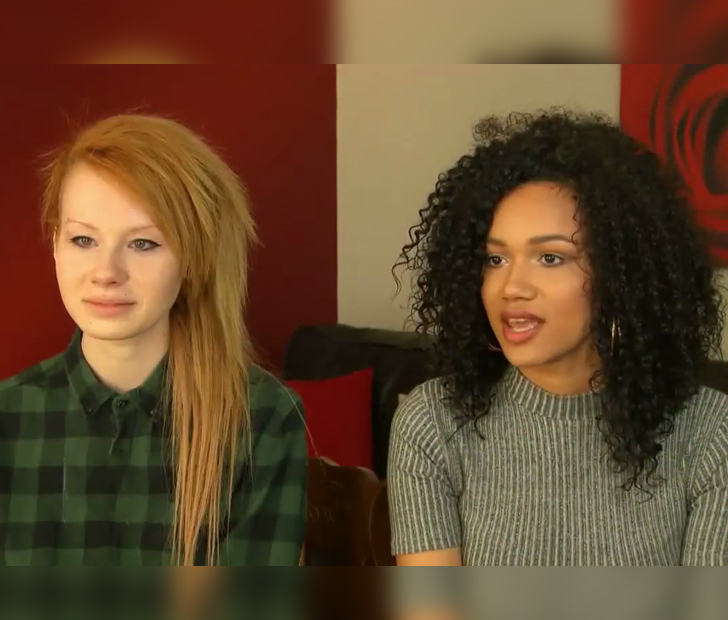 Maria is studying law at Cheltenham College, while Lucy studies art at Gloucester College. There have been numerous times when nothing less than a birth certificate could prove that they are kin. 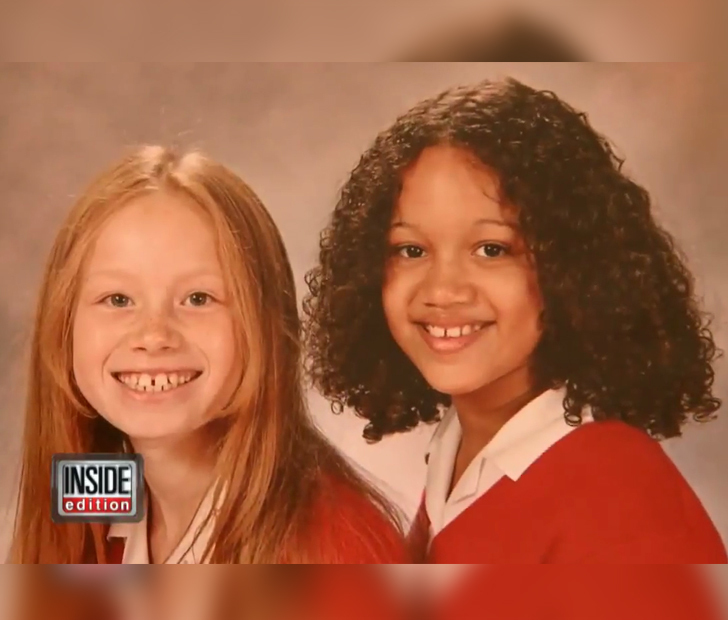 The birth certificate serves as their badge of honor for being such a unique set of biracial twins. Despite their variances, they both have grown into beautiful young ladies and stand side by side, statuesque like models. They are proud that they can always rely on each other when they most need it. Unlike Maria and Lucy, Marcia and Millie Biggs who are also biracial twins, rarely fight and share many similar interests and activities. They do almost everything together and love the fact that they share a wonderful sisterly bond. 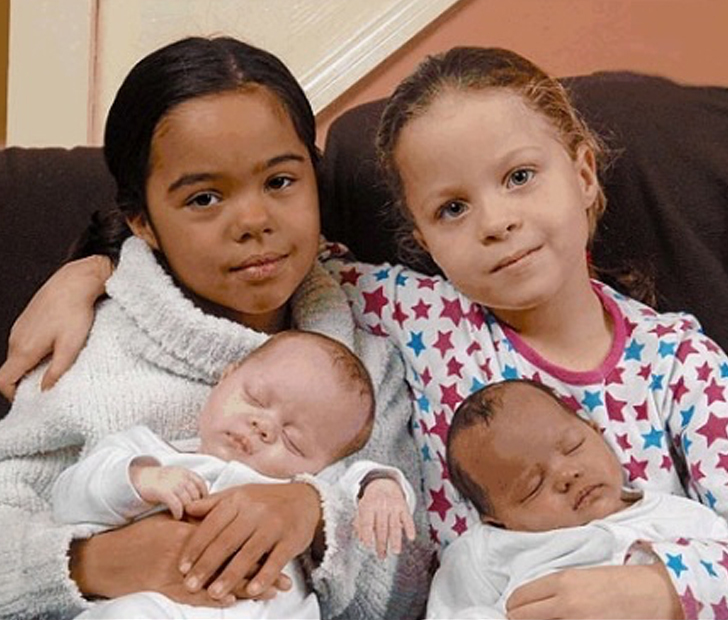 Another set of biracial twins pose for a photograph holding biracial babies to highlight their skin differences. This aids in sending a message to the world that everyone deserves to be loved equally and serves as a symbol against racism. In another town lives two middle school brothers who share the same hair texture, but different skin tones. 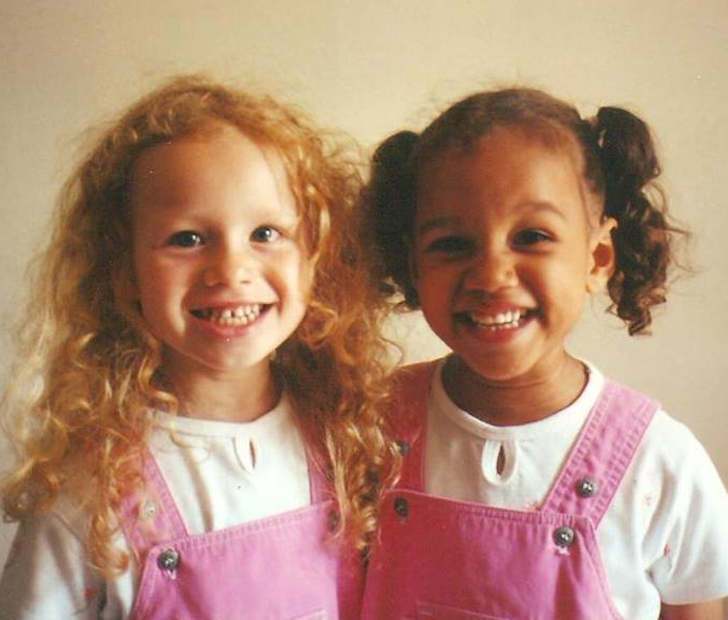 This indicates that certain race attributes can be prevalent in both biracial twins, while also displaying other noticeable qualities that are usually predominant in a different race. 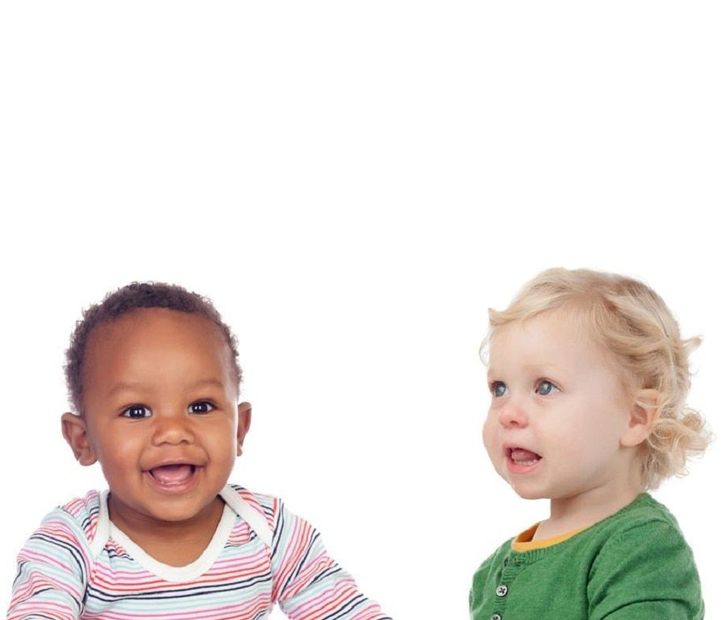 In some cases, biracial babies do not show such an obvious difference in skin tone. This fact is clearly demonstrated by a set of twins that were born to a light-skinned mother and African American/Spanish father. 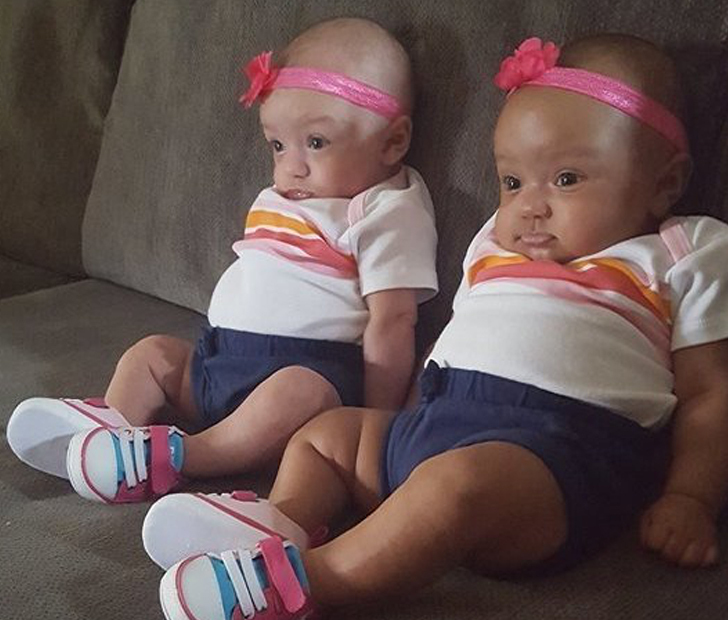 Another mother still happily gets away with dressing her biracial twins in matching outfits, because their skin tones are only slightly diverse shades and despite the difference, they can still be recognized as twins by any curious onlooker. 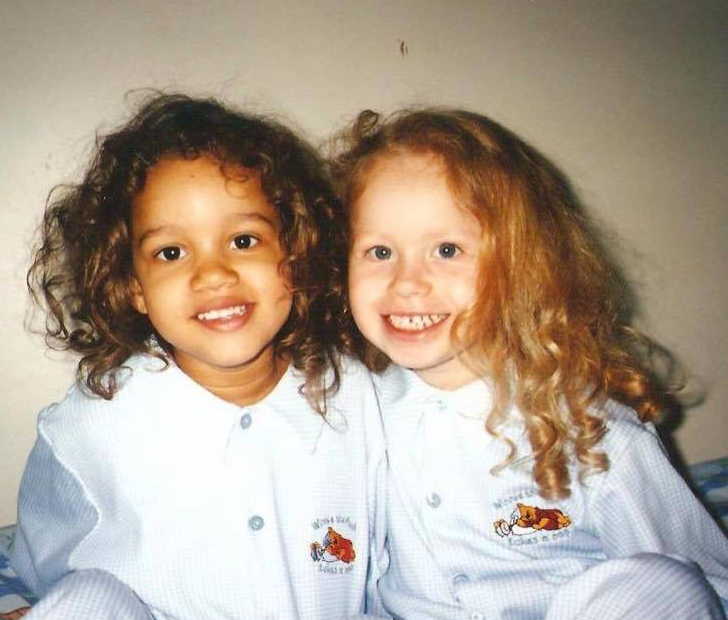 These two siblings share the same persistent genetic disposition to curly hair but different skin tones. This, however, doesn’t stop them from acting like every other brother and sister who can’t stop teasing each other. 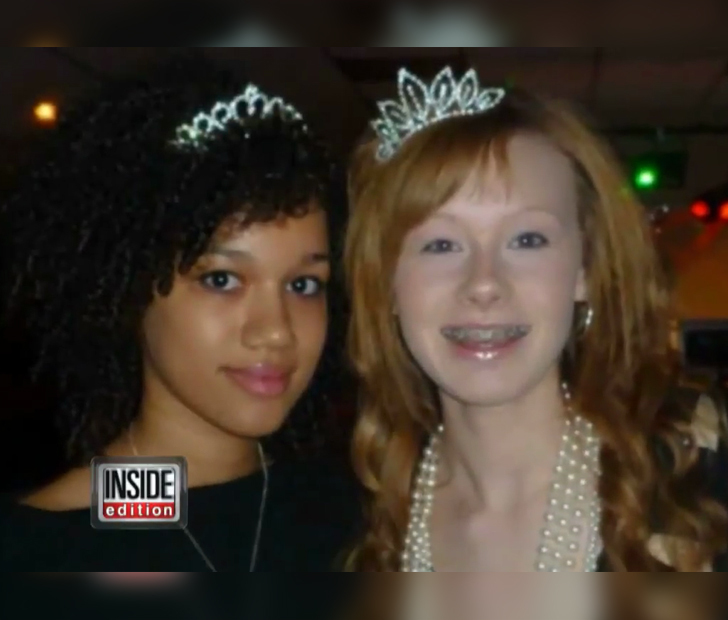 Never before have we seen such a startling difference as these biracial twin sisters who are the epitome of ebony and ivory. They are a complete mirror image of each other and only their parents and flowery white summer dresses serve as the common denominator. 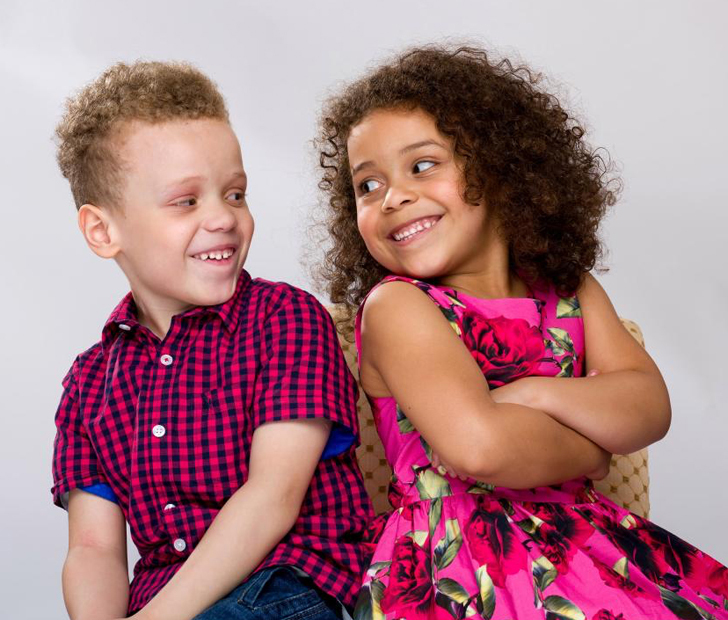 The only things these two biracial brothers have in common are their buzzed haircuts and aspiring careers in modeling. Luckily, in the modeling industry, being different is considered to be unique and a form of beauty. 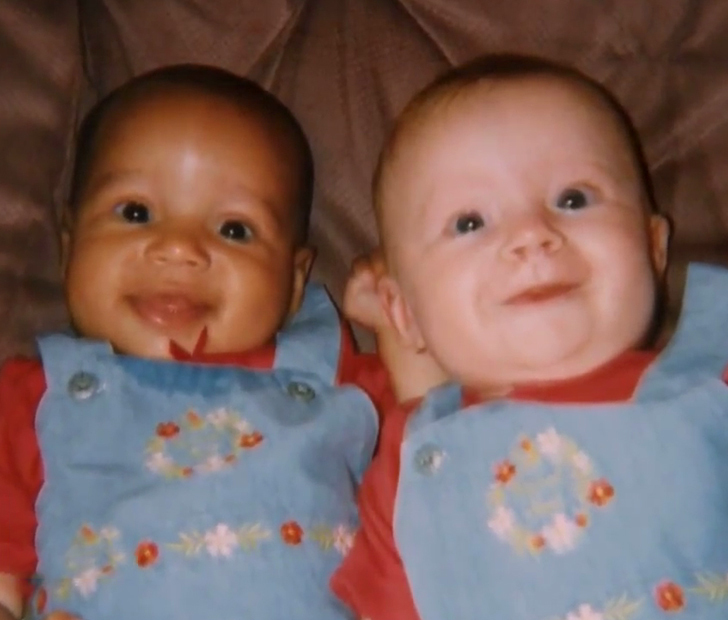 I’m not surprised that these biracial brothers couldn’t convince their professors that they are in fact twins. 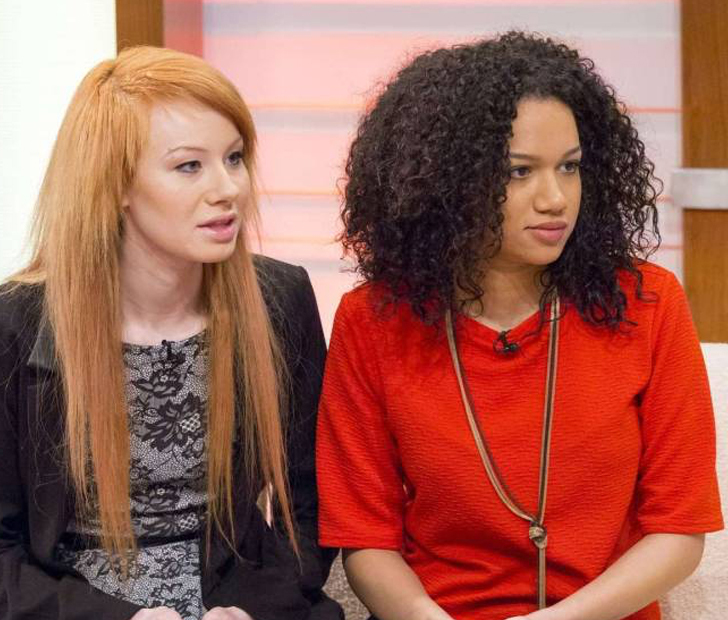 With one being a downright ginger and the other displaying sultry Arabic features, can anyone guess which one always gets the girl? 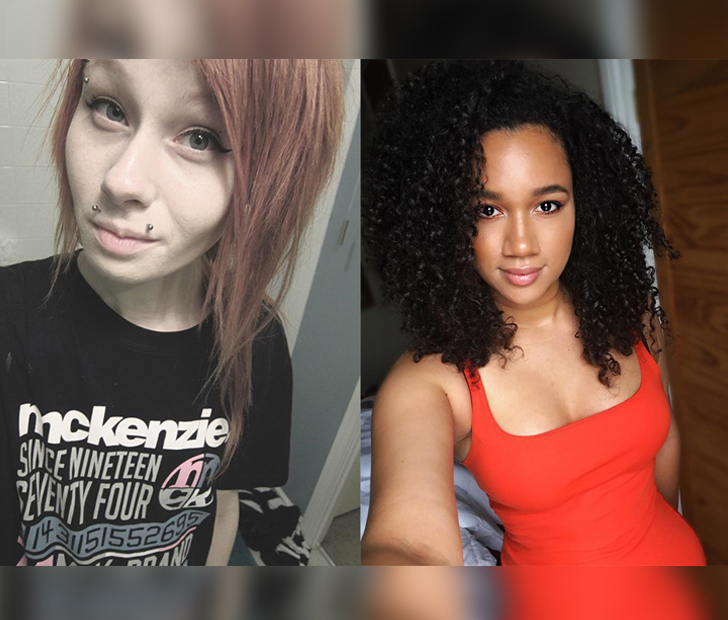 Breana Cincotta suffered countless incidents of bullying at school due to the fact that she is many shades lighter than her sister Brittney and she felt hurt when her classmates would always insinuate that she had been adopted. 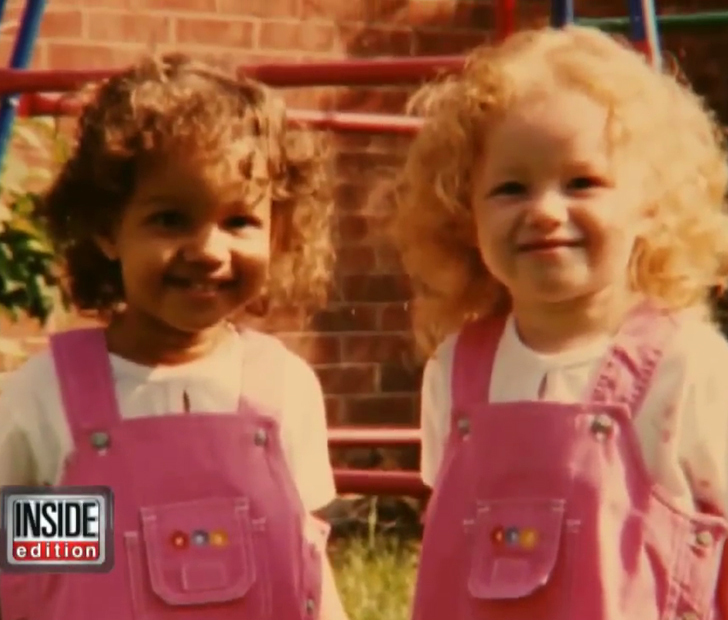 Jasmine and Amelia sit side by side in their best Sunday School outfits. 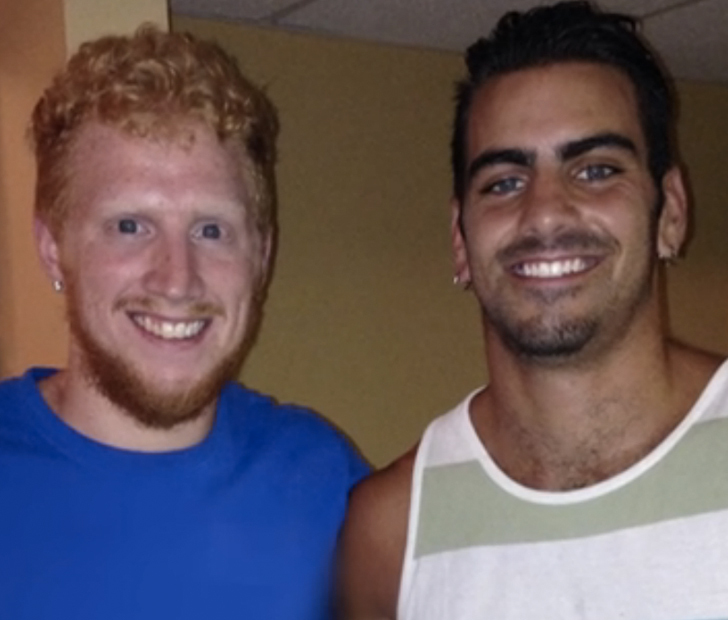 Although they don’t share many differences, it is clear to see that they have inherited different eye colors from their parents who are not of the same race. Even though these twins look slightly different in ethnicity, we can see by their mannerisms that they are actually far more similar than what first meets the eye, especially when watching their favorite cartoon show. 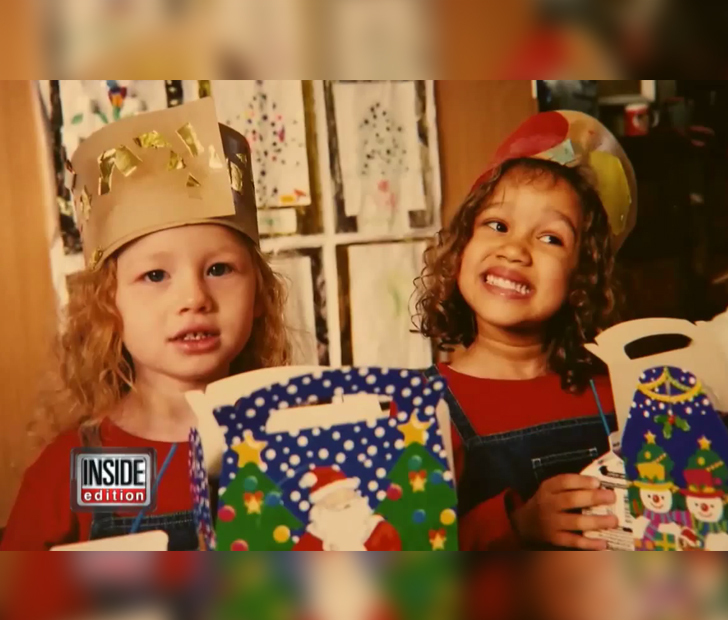 These two sisters are definitely on Santa’s nice list this year, but in their pretty red matching Christmas outfits, will he be able to tell who is who? I’m sure their parents can tell them apart. These twins are thick as thieves and love doing creative activities together despite their unrelated appearances. Doing activities together that they both enjoy helps to build a connection that might not have been there otherwise. It seems like the gene for curly hair is very persistent in this family, unlike the blue-eyed gene which was only inherited by one of the brothers. When he grows up he will be quite the ladies’ man. 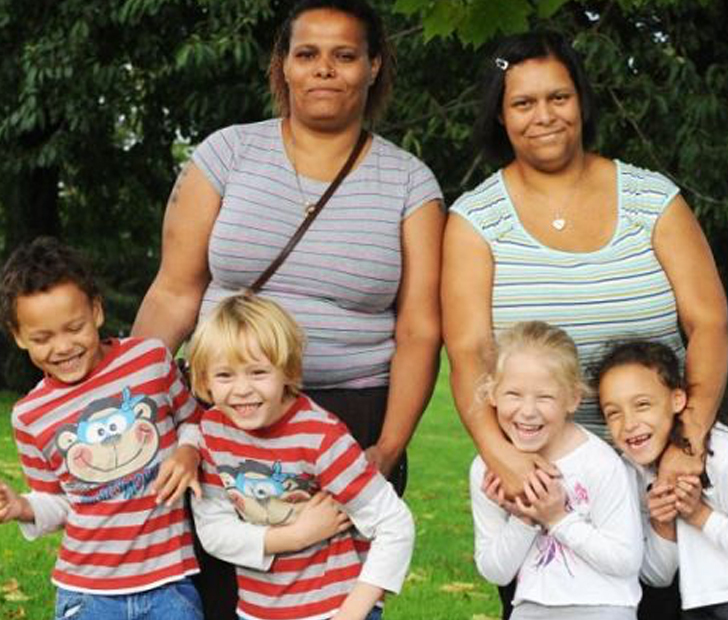 What are the chances of these two sets of biracial twins’ mothers being besties? It must be destiny. Even the mothers look like they could be sisters and their four kids could be siblings. Everyone knows how stubborn the Irish can be; who knew that their red-haired genes can be so stubborn too. 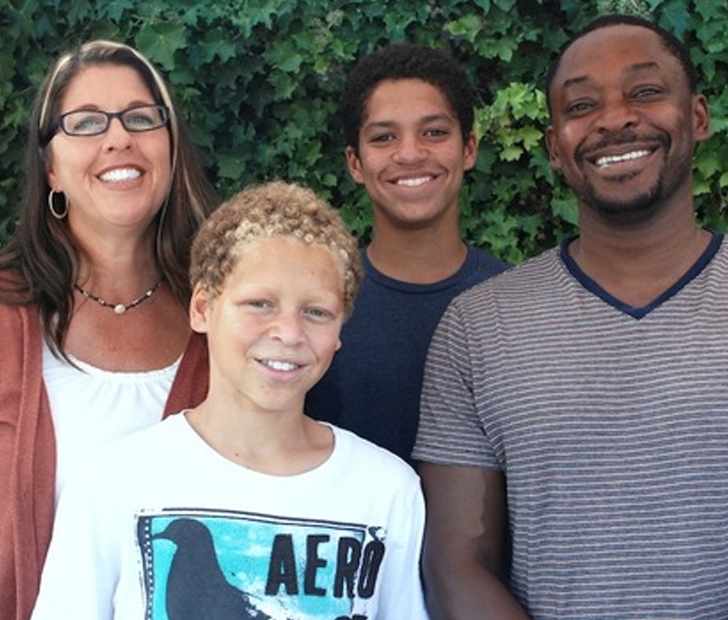 That particular gene can stay latent for several generations until it pops up spontaneously, like in this colorful biracial family unit. Adult biracial twins Sam and Chris Jackson show different degrees of Middle Eastern descent in their appearance but still insist on dressing alike. I guess some things never change and boys will be boys no matter what they look like. This happy father has gifted his daughter with the ancestral gene for an elegant widow’s peak hairline. His son, however, like his mother, is certainly not a morning person and is now due for naptime. Playtime couldn’t come sooner for Jarani and Kalani. 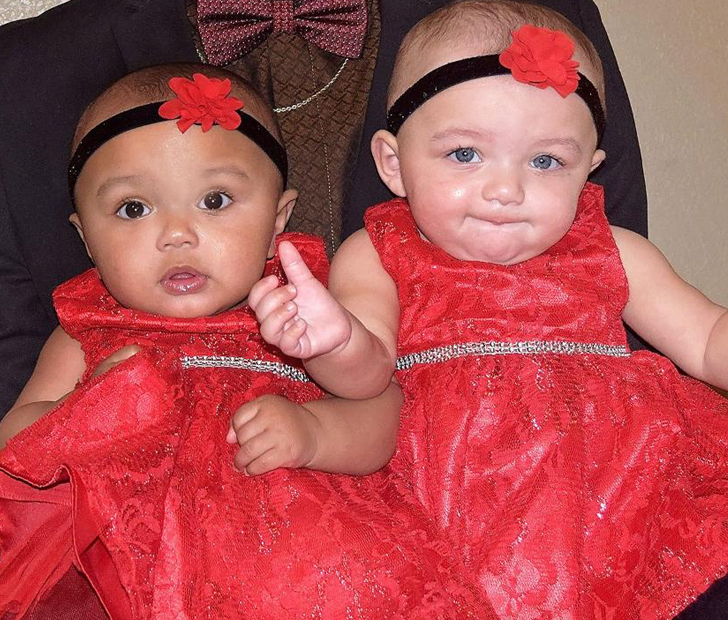 These biracial twins might be differentiated on the outside, but they are just the same on the inside. It all goes to show that every person on earth is likely related in some way or another and we are all brothers and sisters, no matter the color of our skin.